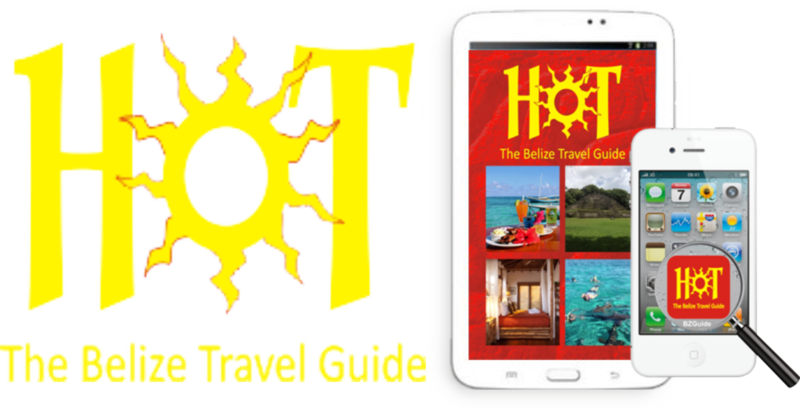 HOT Guide Belize has been providing visitors and residents with information and discounts since 2002. Our free mobile app means that you always have the information you need, right in your pocket! 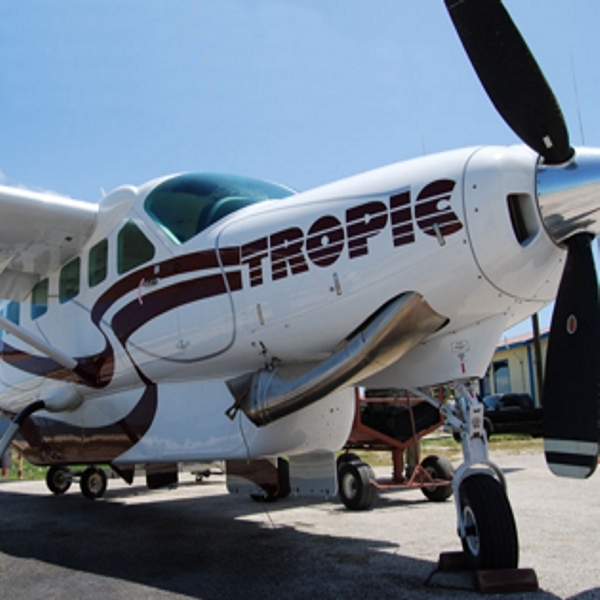 HOT Guide Belize is pleased to offer a FREE Amazon gift card to the value of 10% of your fare on ANY FLIGHTS AND TOURS booked on Tropic Air's website with our promotion code. Flights can be booked in advance and there is no restriction on dates. Use it as often as you like, for as many people as you like, and save on every flight, now including international flights to Cancun, Flores, etc..
For our frequent visitors, sign up for Tropic Miles and earn points on every flight - yes that's right, a gift card AND frequent flyer miles! Surcharges and taxes are not subject to gift rewards. Get the latest discount code from our free mobile app. 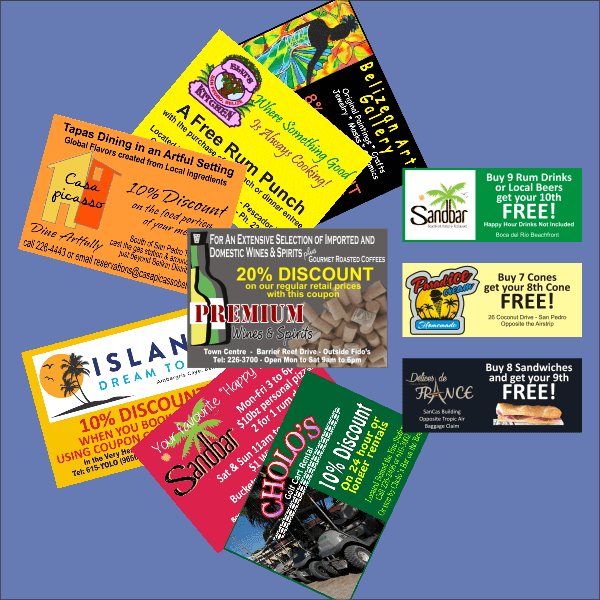 In-app digital coupons provide discounts on every aspect of your vacation. 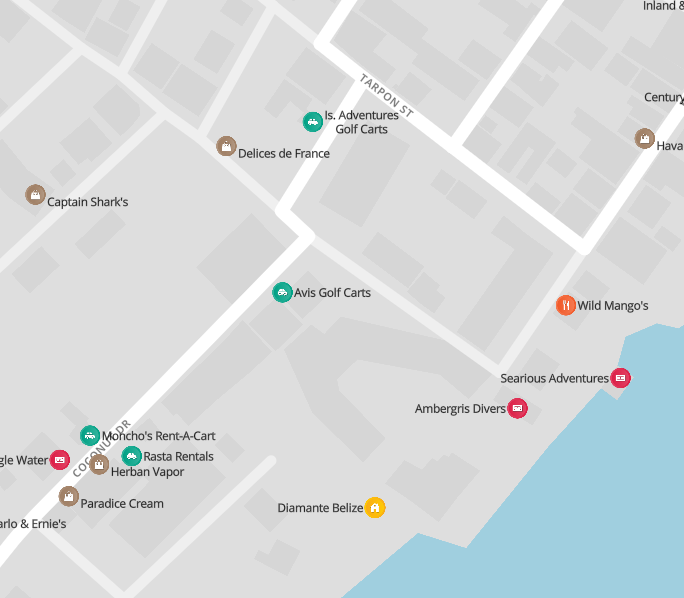 Restaurants, bars, tours, activities, rentals, shopping and more. You will save every day. Our new Loyalty Cards mean no more cards/paper to remember. Earn points at the places you frequent the most and get discounts & free offers as your reward. Get 5% discount on all minutes - even on promotion days. Pay by credit card and keep your minutes active even when you are not in Belize. We have developed our own local maps showing all our advertisers. Clean design, simple format and scaleable so you can easily find the places you are looking for. In addition to local offers, we often find great deals on other travel related products. Travel Insurance, Swimwear, Sports Equipment, Sunscreen/Bug Protection & more. Click here for the latest recommendations. If you don't want to download our free mobile app, then please use our web-based directory on this page to find the businesses and information you need. But remember not all features will work outside the app, including the discount coupons and loyalty cards.